STEREO VINYL LP! 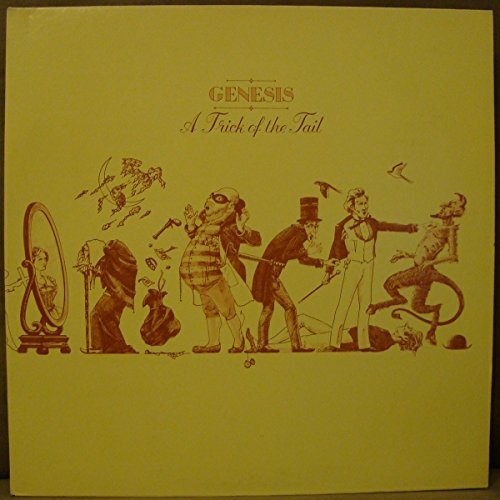 Genesis: A Trick Of The Tail! 1977 Atco Reissue of this 1976 Release! Gatefold cover with full lyrics inside. TRACKS: A1. Dance On A Volcano (5:54); A2. Entangled (6:26); A3. Squonk (6:29); A4. Mad Man Moon (7:35); B1. Robbery, Assault & Battery (6:16); B2. Ripples (8:07); B3. A Trick Of The Tail (4:34); & B4. Los Endos (5:46). If you have any questions about this product by Atco, contact us by completing and submitting the form below. If you are looking for a specif part number, please include it with your message.